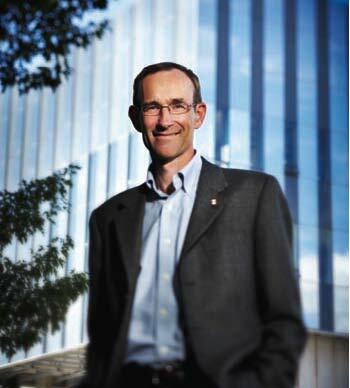 Raymond Laflamme is originally from Québec City, where he studied Physics as an undergraduate at the Université Laval. After surviving Part III of the Mathematical Tripos at the University of Cambridge, he completed his PhD on aspects of general relativity and quantum cosmology in the Department of Applied Mathematics and Theoretical Physics (DAMTP) under the direction of Stephen Hawking. Laflamme and his colleague Don Page are responsible for having changed Hawking's mind on the reversal of the direction of time in a contracting universe (see Hawking’s book, A Brief History of Time). From 1988-1992, Laflamme held a Killam post-doctoral fellowship at UBC, and a post-doctoral fellowship at Peterhouse College, University of Cambridge. From 1992-2001, Dr. Laflamme worked as a research scientist at Los Alamos Research Laboratory, where his interests shifted from cosmology to quantum computing. Since the mid-1990’s, Laflamme has developed theoretical approaches to quantum error correction, and has given experimental demonstrations of these techniques. In collaboration with Emmanuel Knill, Laflamme gave conditions for quantum error correcting codes, and established the fault-tolerance threshold, thereby showing that quantum computing systems could be practically useful. He went on to perform the first experimental demonstration of quantum error correction. With colleagues, he has developed a blueprint for a quantum information processor using linear optics, and devised and implemented new methods to make quantum information robust against corruption in both cryptographic and computational settings. In 2001, Laflamme returned to Canada as the founding Director of the Institute for Quantum Computing (IQC) which he lead until 2017. He is an associate faculty of the Perimeter Institute For Theoretical Physics. Dr. Laflamme was the Scientific Director of QuantumWorks (2000-2011), and has been Director of the Quantum Information Program at the Canadian Institute for Advanced Research (CIFAR) from 2003 to 2016, and a CIFAR Fellow since 2001. Dr. Laflamme holds the Canada Research Chair in Quantum Information, the Mike and Ophelia Lazaridis “John von Neumann” Chair in Quantum Information and is a Professor in the Department of Physics and Astronomy at the University of Waterloo. Quantum information: Understanding the impact of manipulating information using the laws of quantum mechanics. Robust quantum control: Developing methods to protect quantum information against noise through quantum control and quantum error correction for quantum computing and quantum cryptography. Experimental quantum information processing: Implementing ideas and concepts of quantum information processing using nuclear magnetic resonance and developing scalable methods to control quantum systems. Physical systems for quantum information processing: Developing “blueprints” for quantum information processors using various approaches such as linear optics quantum computing (LOQC). Simulation of quantum systems: Finding ways to simulate quantum systems using quantum information processors. Jochym-O'Connor T, Laflamme R.Using Concatenated Quantum Codes for Universal Fault-Tolerant Quantum Gates Physical Review Letters, Vol. 112, Issue 1, Article 010505, 2014. An Introduction to Quantum Computing Oxford University Press 2006 (with P. Kaye & M. Mosca). T. D. Ladd, F. Jelezko, R. Laflamme, Y. Nakamura, C. Monroe, and J. L. O’Brien. “Quantum computers.” Nature, 464:45–53, 2010. Knill E, Laflamme R, Milburn GJ. “A scheme for efficient quantum computation with linear optics.” Nature 409,46-52, 2001. Knill E, Laflamme R, Zurek WH. “Resilient quantum computation.” Science, 279:342–345, 1998. Knill E, Laflamme R. “Theory of quantum error-correcting codes.” Physical Review A, 55: 900-911, 1997. Cory DG, Price MD, Maas W, Laflamme, R. et al., “Experimental quantum error correction.” Physical Review Letters, Vol. 81, Issue 10, pp 2152-2155, 1998. Gregory R, Laflamme R. “Black Strings and P-Branes are Unstable.” Physical Review Letters, 70, 2837-2840, 1993. Complete list of postdoctoral fellows and students. Canadian Association of Physicist 2017 CAP-CRM prize in Theoretical and Mathematical Physics. Faculty, Institute for Quantum Computing, University of Waterloo, 2002-present. Associate Researcher and Founding Member at Perimeter Institute, September 2001-present. Professor, Department of Physics, University of Waterloo, September 2001-present. Founding Director, Institute for Quantum Computing, University of Waterloo, April 2002-2017. Scientific Director, QuantumWorks, June 2006-2011. Director, Quantum Information Program at CIFAR, October 2003-present. Technical staff member, Los Alamos National Laboratory, 1997-2001. Oppenheimer Fellow, Los Alamos National Laboratory, 1994-1997. Post-Doctoral Fellow at Los Alamos National Laboratory, 1992-1994. Research Fellow at Peterhouse College, Cambridge, UK, 1990-1992. Killam Postdoctoral Fellow at the University of British Columbia, 1988-1990. Tao Xin, Dawei Lu, Joel Klassen, Nengkun Yu, Zhengfeng Ji, Jianxin Chen, Xian Ma, Guilu Long, Bei Zeng, Raymond Laflamme. "Quantum state tomography via reduced density matrices" 2014, arXiv:1604.02046. Jingfu Zhang, Daniel Burgarth, Raymond Laflamme, Dieter Suter. "Experimental implementation of quantum gates through actuator qubits" 2014, arXiv:1405.7169. Dawei Lu, Jacob D. Biamonte, Jun Li, Hang Li, Tomi H. Johnson, Ville Bergholm, Mauro Faccin, Zoltan Zimboras, Raymond Laflamme, Jonathan Baugh, Seth Lloyd. "Chiral Quantum Walks." 2014, arXiv:1405.6209. Erven C, Meyer-Scott E, Fisher K, et al.Experimental three-photon quantum nonlocality under strict locality conditions Nature Photonics, Vol. 8, Issue 4, pp 292-296, 2014. Erven C, Ng N, Gigov N, et al.An experimental implementation of oblivious transfer in the noisy storage model Nature Communications, Vol. 5, Article 3418, 2014. Tomas Jochym-O'Connor, David W. Kribs, Raymond Laflamme, Sarah Plosker. "Quantum Subsystems: Exploring the Complementarity of Quantum Privacy and Error Correction." 2014, arXiv:1405.1798. Dawei Lu, Aharon Brodutch, Jun Li, Hang Li, Raymond Laflamme. "Experimental realization of post-selected weak measurements on an NMR quantum processor." 2013, arXiv:1311.5890. T. Jennewein, J.P. Bourgoin, B Higgins, et al. "QEYSSAT: a mission proposal for a quantum receiver in space." Memory and Communication VII Book Series:Proceedings of SPIE,8997:89970A, 2014. Feng G, Long G, Laflamme R.Experimental simulation of anyonic fractional statistics with an NMR quantum-information processor Physical Review A, Vol. 88, Issue 2, Article 022305, 2013. Jochym-O'Connor T, Kribs DW, Laflamme R, et al.Private Quantum Subsystems Physical Review Letters, Vol. 111, Issue 3, Article 030502, 2013. D. Rideout, T. Jennewein, G. Amelino-Camelia, T. F. Demarie, B. L. Higgins, A. Kempf, A. Kent, R. Laflamme, X. Ma, R. B. Mann, E. Martin-Martinez, N. C. Menicucci, J. Moffat, C. Simon, R. Sorkin, L. Smolin, and D. R. Terno. "Fundamental quantum optics experiments conceivable with satellites--reaching relativistic distances and velocities." Classical and Quantum Gravity, 29:224011, 2012. B. Criger, G. Passante, D. Park, and R. Laflamme. "Recent advances in nuclear magnetic resonance quantum information processing." Philosophical Transactions of the Royal Society A: Mathematical, physical, and engineering sciences, 370(1976):4620-35, 2012. J. Zhang, R. Laflamme, and D. Suter. "Experimental Implementation of Encoded Logical Qubit Operations in a Perfect Quantum Error Correcting Code." 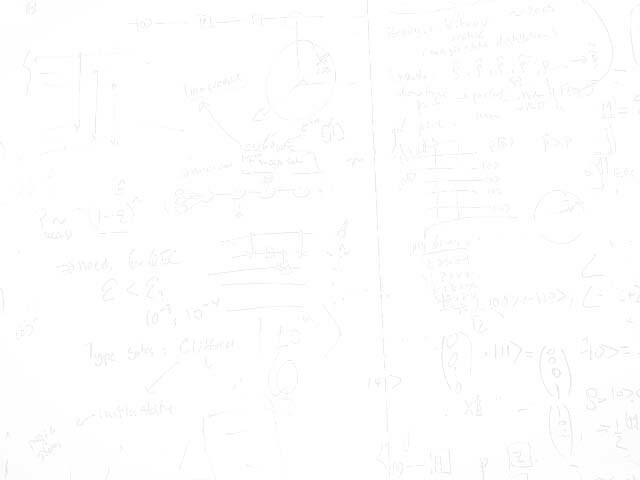 Physical Review Letters, 109:100503, 2012. O. Moussa, M. P. da Silva, C. A. Ryan, and R. Laflamme, "Practical Experimental Certification of Computational Quantum Gates Using a Twirling Procedure." Physical Review Letters, 109:070504, 2012. J. Zhang, M.-H. Yung, R. Laflamme, A. Aspuru-Guzik, and J. Baugh. "Digital quantum simulation of the statistical mechanics of a frustrated magnet." Nature Communications, 3:880, 2012. B. Criger, O. Moussa, and R. Laflamme. "Quantum error correction with mixed ancilla qubits." Physical Review A, 85:044302, 2012. G. Passante, O. Moussa, and R. Laflamme. "Measuring geometric quantum discord using one bit of quantum information." Physical Review A, 85:032325, 2012. Y. Zhang, C. A. Ryan, R. Laflamme, and J. Baugh. “Coherent control of two nuclear spins using the anisotropic hyperfine interaction.” 2011, arXiv:1104.0275. G. Passante, O. Moussa, D. A. Trottier, and R. Laflamme. “Experimental detection of non-classicalcorrelations in mixed state quantum computation.” 2011, arXiv:1105.2262. J. Zhang, T.-Z. Wei, and R. Laflamme. “Experimental quantum simulation of entanglement in many-body systems.” Physical Review Letters 107: 010501, 2011, arXiv:1104.0275. A. M. Souza, J. Zhang, C. M. Ryan, and R. Laflamme. “Experimental magic state distillation.” Nature Communications 2:169, 2011, arXiv:1103.2178v1. C. Erven, D. Hamel, K. Resch, R. Laflamme, and G. Weihs. “Entanglement based quantum key distribution using a bright Sagnac entangled photon source.” Quantum Communication and Quantum Networking. Springer, Berlin, 2010. F. M. Cucchietti, J.-F. Zhang, F. C. Lombardo, P. I. Villar, and R. Laflamme. “Geometric phase with nonunitary evolution in presence of a quantum critical bath.” Physical Review Letters, 105:240406, 2010 and arXiv:1006.1468. U. Sinha, C. Couteau, T. Jennewein, R. Laflamme, and G. Weihs. “Ruling out multi-order interference in quantum mechanics.” Science, 329(418-421), 2010. O. Moussa, C. A. Ryan, D. G. Cory, and R. Laflamme. “Testing contextuality on quantum ensembles with one clean qubit.” Physical Review Letters, 104 (160501), 2010. T. D. Ladd, F. Jelezko, R. Laflamme, Y. Nakamura, C. Monroe, and J. L. O’Brien. “Quantum computers.” Nature, 464(7285):45–53, 2010. G. Passante, O. Moussa, C. A. Ryan, and R. Laflamme. “Experimental approximation of the Jones polynomial with DQC1.” Physical Review Letters, 103(250501), 2009. J. Zhang, M. Ditty, D. Burgarth, C. A. Ryan, C. M. Chandrashekar, M. Laforest, O. Moussa, J. Baugh, and R. Laflamme. “Quantum data bus in dipolar coupled nuclear spin qubits.” Physical Review A 80(012316), 2009. C. Erven, X. Ma, R. Laflamme, and G. Weihs. “ Entangled quantum key distribution with a biased basis choice.” New Journal of Physics, (11):045025, 2009. C.A. Ryan, M. Laforest, and R. Laflamme. “Randomized benchmarking of single and multi-qubit control in liquid-state nmr quantum information processing.” Science 11(013034), 2009. C. M. Chandrashekar, R. Srikanth, and R. Laflamme. “Optimizing the discrete time quantum walk using a su(2) coin.” Physical Review A, 77:032326, 2008. C.A. Ryan, M. Laforest, and R. Laflamme. “Randomized benchmarking of single and multi-qubit control in liquid-state NMR quantum information processing.” 2008. J. Zhang, F. M. Cucchietti, C. Chandrashekar, M. Laforest, C. A. Ryan, M. Ditty, A. Hubbard, J. K. Gamble, and R. Laflamme. “Direct observation of quantum criticality in Ising spin chains.” Physical Review A 79, 012305 (2009). C. Erven, C. C. Couteau, R. Laflamme, and G. Weihs. “Entangled quantum key distribution over two free-space optical links.” 2008. E. Bocquillon, C. Couteau, M. Razavi, R. Laflamme, and G. Weihs. “Coherence measures for heralded single-photon sources.” 2008. C. A. Ryan, C. Negrevergne, M. Laforest, E. Knill, and R. Laflamme. “Liquid-state nuclear magnetic resonance as a testbed for developing quantum control methods.” Physical Review A, 78:012328, 2008. C. A. Ryan, O. Moussa, J. Baugh, and R. Laflamme. “Spin based heat engine: Demonstration of multiple rounds of algorithmic cooling.” Physical Review Letters, 100:140501, 2008.